For food writer Kramer, writing and cooking are inextricably linked—though she sometimes uses one to avoid the other. This collection of her pieces from The New Yorker includes chef profiles, food history and a few personal essays (my favorites). She’s warm, witty and practical. To review for Shelf Awareness (out Nov. 21). The third book in Stevens’ Wells & Wong middle-grade mystery series finds Daisy and Hazel aboard the famous Orient Express. Naturally, a murder occurs and they have to investigate. An homage to Christie’s classic, but also a fun, well-plotted story. Found at the Book House in Summertown, Oxford. In a down-at-heel street in a nondescript British city, Frank’s record shop doesn’t just sell vinyl (and only vinyl), but it gives people the music they don’t know they need. When Ilse Brauchmann, a mysterious woman in a green coat, visits the shop, Frank finds himself both drawn to Ilse and utterly baffled by her. A wonderful novel about music, loss, healing and love, with vivid characters and so many brilliant sentences. (I also adored Joyce’s debut, The Unlikely Pilgrimage of Harold Fry.) To review for Shelf Awareness (out Jan. 2). 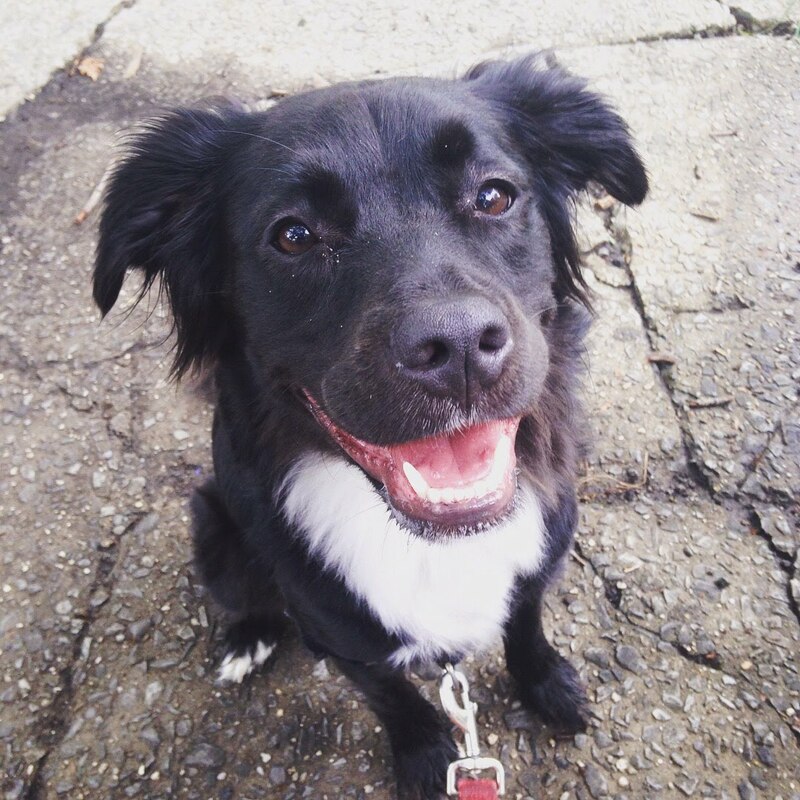 Like many English people, Harrison is an avid walker, even—nay, especially—in the rain. She chronicles four rainy walks in different seasons and locations, musing on how rain has shaped the climate and psyche of the British Isles, and recording details of habitat and weather with a keen, lyrical eye. So lovely. Found at the amazing Blackwells Bookshop in Oxford. When Aila Quinn’s mother, Juliet, dies unexpectedly, Aila and her brother are sent to Juliet’s hometown to stay with friends. But they are greeted with suspicion: the town lies under a curse, and some people blame Juliet. Aila digs into her mother’s history (and a mysteriously annotated volume of Shakespeare) to clear Juliet’s name. An enchanting, thought-provoking YA novel; I especially loved Aila and her friend Beas. The dialogue felt almost too modern (it’s set in the 1940s), but the central conceit is wonderful. Recommended by Liberty on All the Books!. Walter Lavender Jr. doesn’t talk much, but he’s got a keen observer’s eye and a knack for finding lost things. When the mysterious Book that is the lifeblood of his mother’s West Village bakery disappears, Walter and his golden retriever, Milton, embark on a search that takes them up and down Manhattan. An utterly magical novel full of heartbreak and love; the writing sings and the city itself is a character. Found (fittingly) at Shakespeare & Co. in NYC. Recommended by my colleague Kat at Shelf Awareness. I’ve needed poetry lately, and have lingered in this slim, often heartrending anthology of poems on war, terror, grief, healing and peace. Uneven, like many anthologies, but I did find a few gems. Bought at the Brattle on a walkabout day this summer. One of the delights of visiting and revisiting a city: there are neighborhoods that become yours. 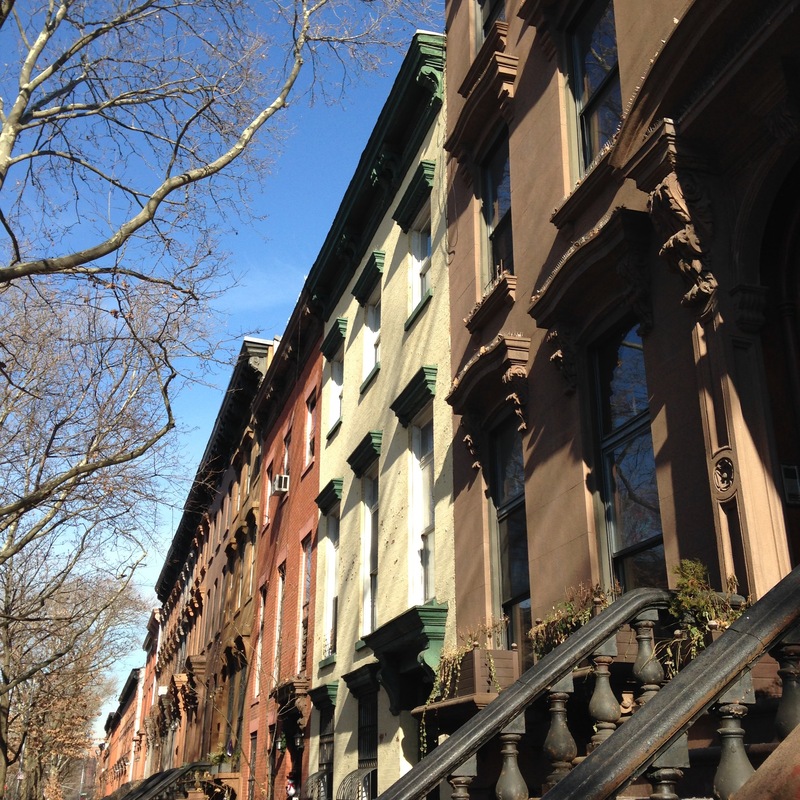 Last month, the hubs and I spent our third weekend in Fort Greene, which has become our favorite pocket of Brooklyn. 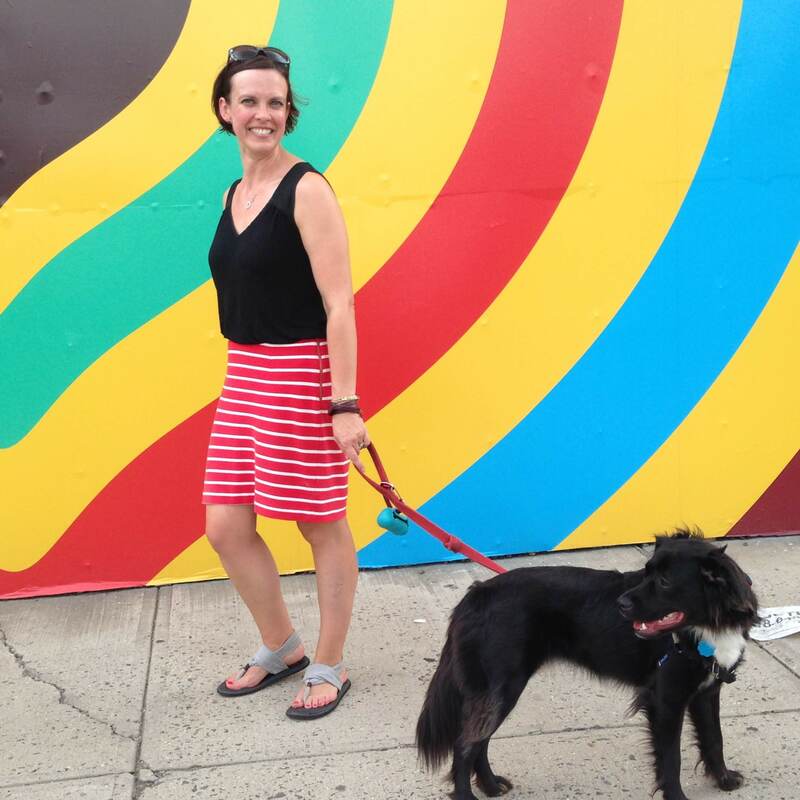 I’d just spent three days at a conference in midtown and I was ready to get out of the bustle and glitz, to a tangle of quieter streets where people actually live. 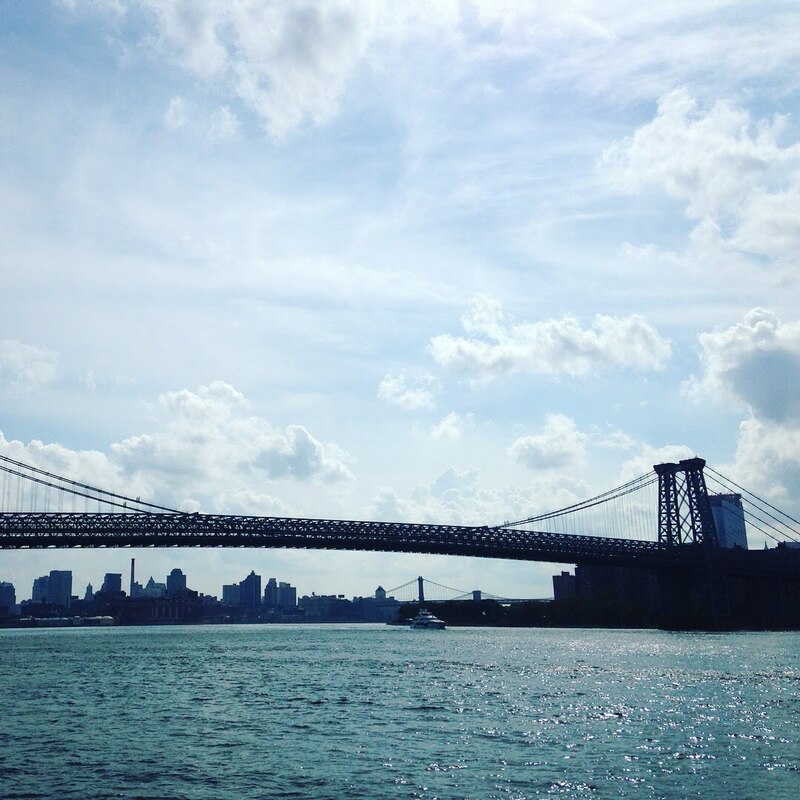 Coming out of Manhattan, even dragging all my luggage, felt like a much-needed exhale. 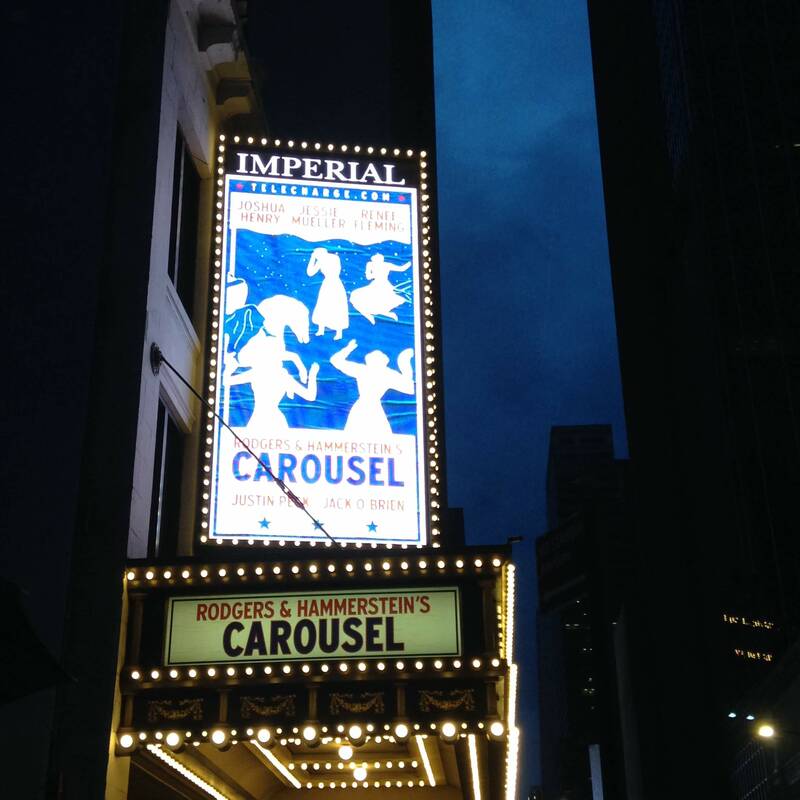 And coming up out of the subway onto Fulton Street – even into a cold winter wind – felt like coming home. We rented the top floor of a brownstone near Fort Greene Park, and spent the weekend popping into our favorite places and discovering new ones. It was the kind of travel I adore: the new and novel blended with the comforting and familiar. We didn’t even discuss where to go for dinner on Friday night, but headed straight to Madiba for bowls of spicy lamb curry with raisin-studded saffron rice. When we told our hostess we were headed to the farmers’ market in the park the next morning, she laughed. “You’re practically natives!” And, indeed, it felt wonderful to stroll the stands and buy a cup of steaming apple cider and a scone the size of my fist. We perched on a bench and sipped our cider, watching dogs and children running in the cold, crisp air. 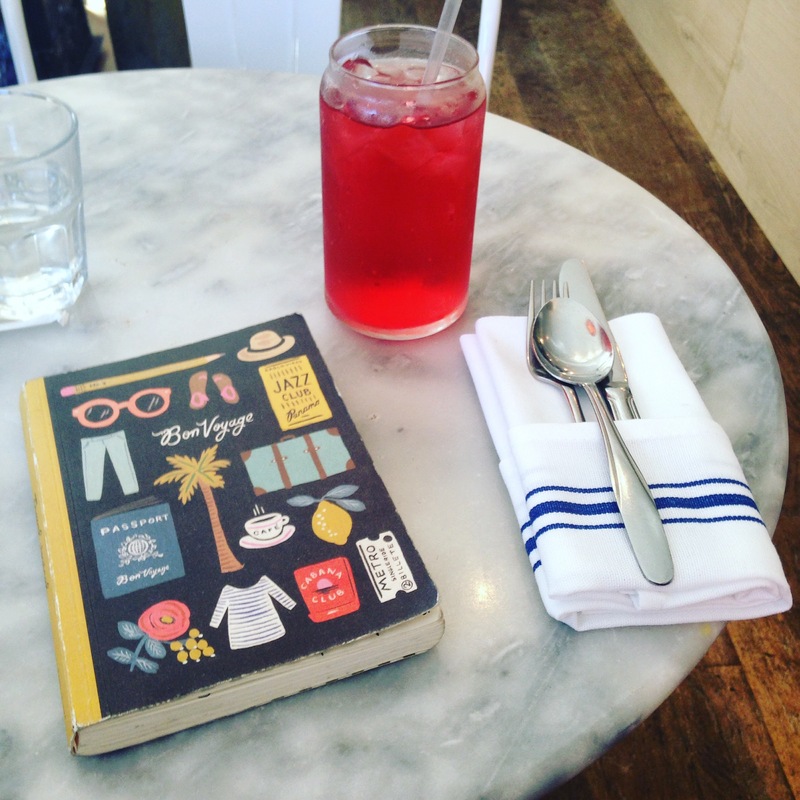 I’d made a short list of places to revisit, and we hit all of them: Greenlight Bookstore, the winter Brooklyn Flea market, the wonderful Greene Grape and its adjacent wine shop, and the bagel place on Lafayette Avenue. 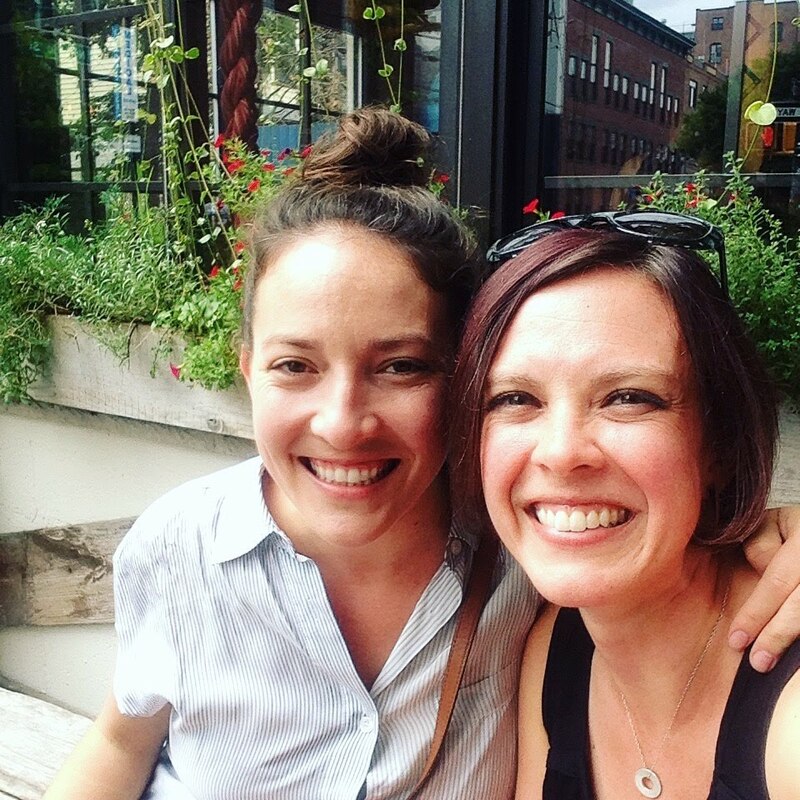 We ate Sunday brunch at Walter’s and strolled up and down the streets we love. 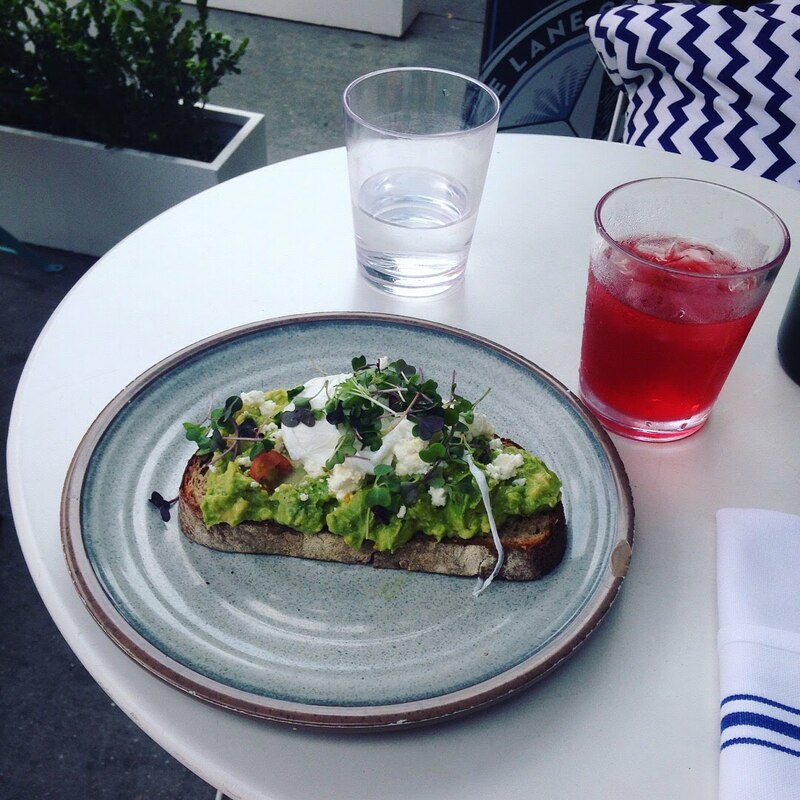 But we also visited new coffee shops, turned down unfamiliar corners, ate guacamole and huevos at Pequeña. 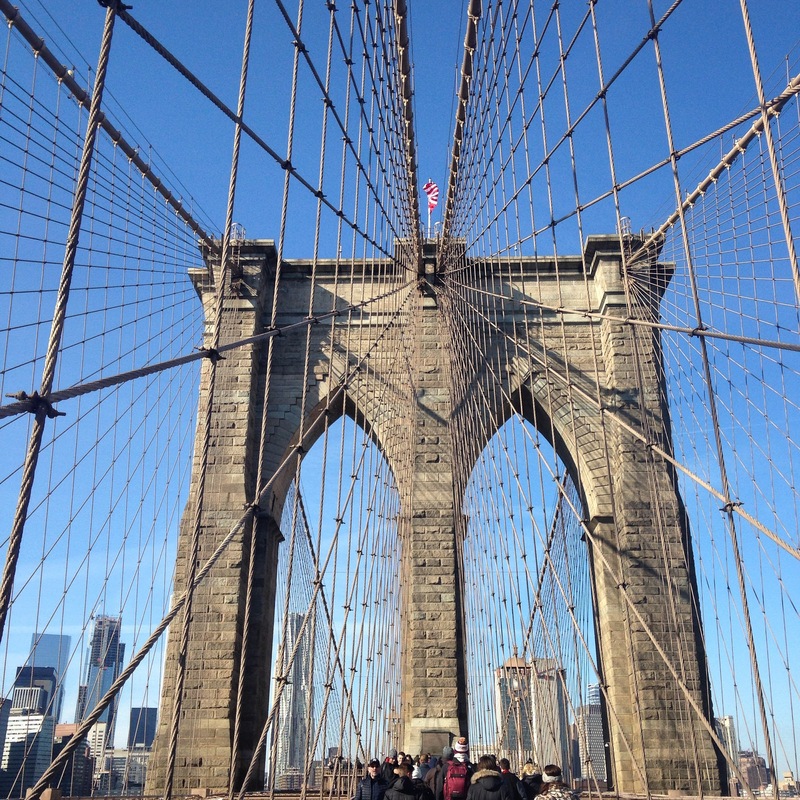 And we did something I’ve long wanted to do: took the gorgeous walk across the Brooklyn Bridge into Manhattan. New York, more than most cities, offers endless new discoveries, and I am surprised and delighted by it every time I visit. But I also love that certain parts of it have become mine, or ours. 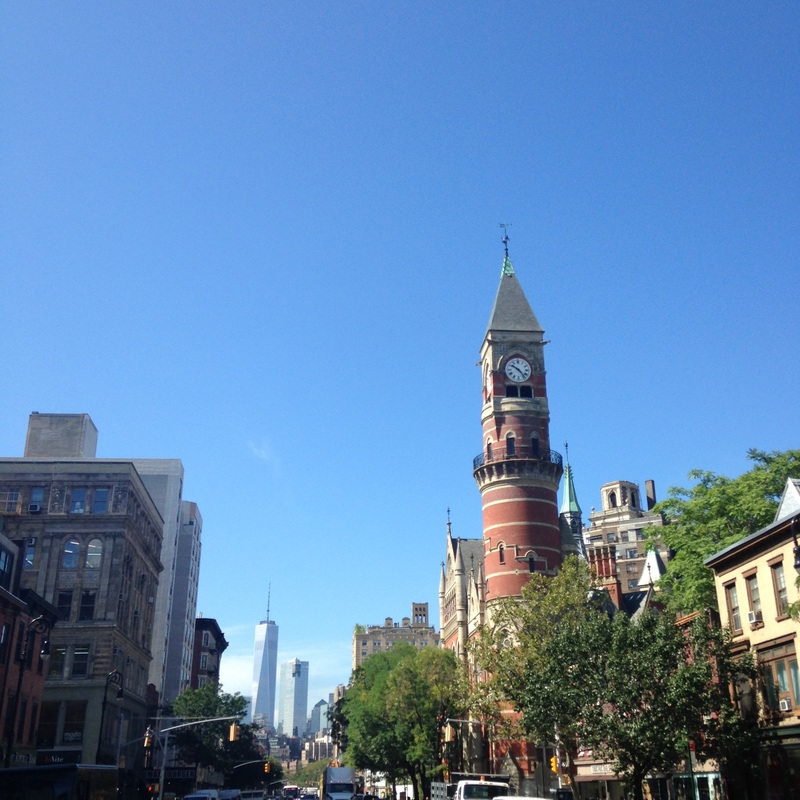 Fort Greene welcomed us back, and I’m already looking forward to our next trip there. 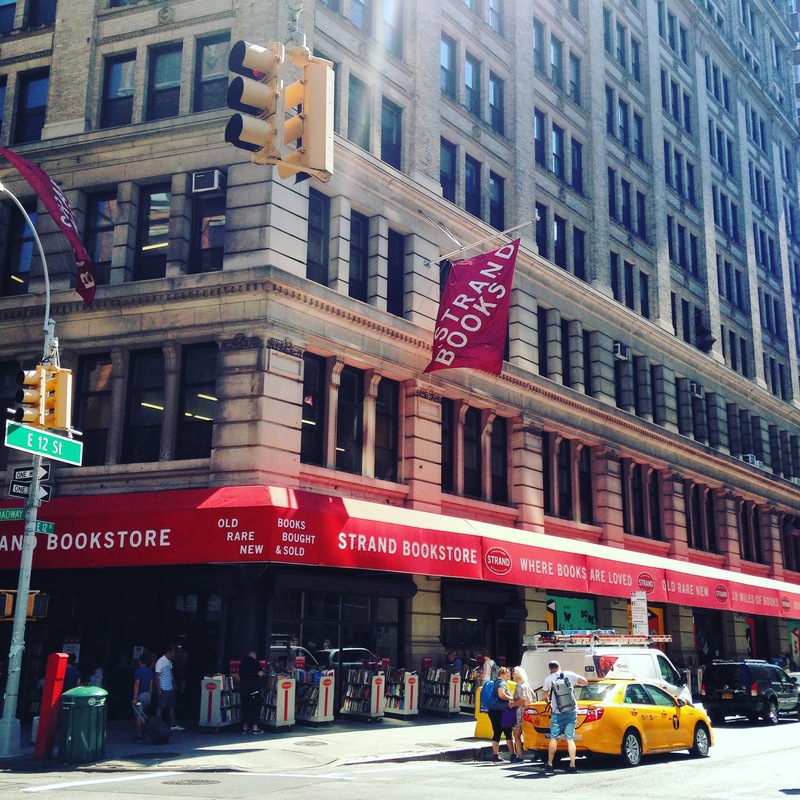 On my solo trip to NYC in mid-August, I indulged my book-browsing habit to the tune of five bookstores in four days. I came home with a dozen new-to-me books (stuffed into the Strand tote bag I had prudently carried along), and a full bookworm heart. 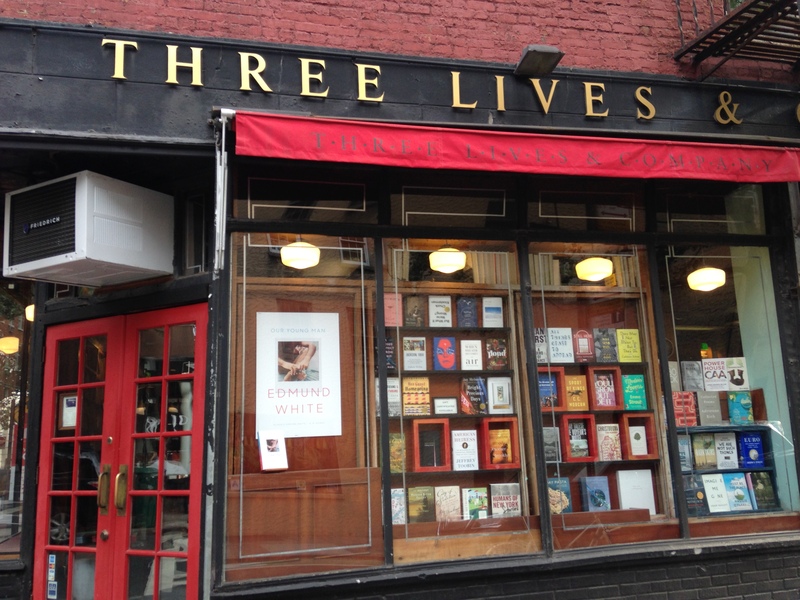 I stayed at the Larchmont Hotel in the West Village, so my first stop was Three Lives & Co., just a few blocks away. It’s a cozy, well-curated space with shelves that reach nearly to the ceiling. 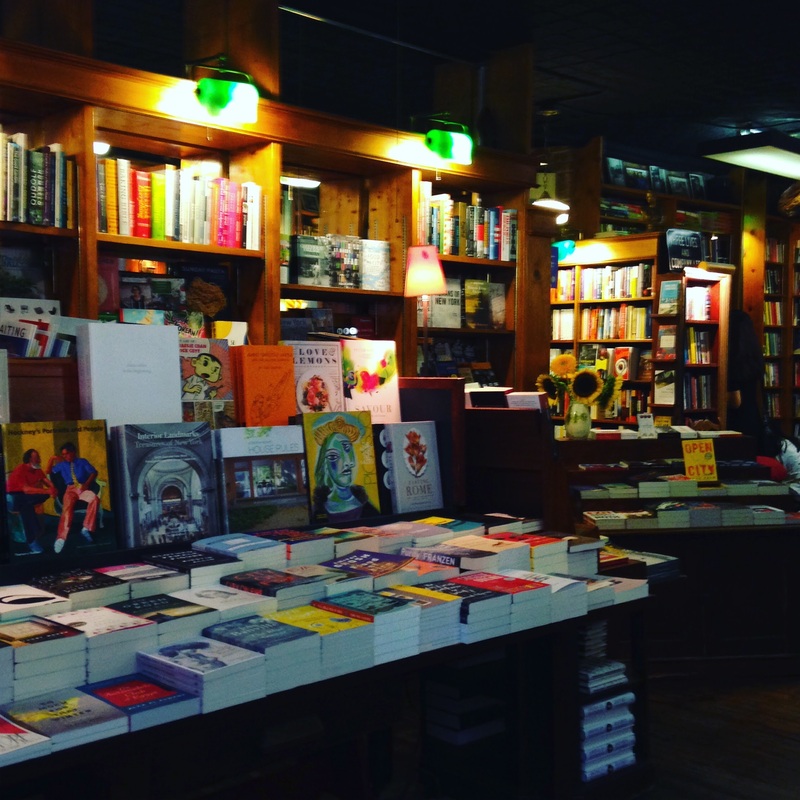 Last time I visited Idlewild Books, they were in a second-floor storefront near Union Square, but they have moved to a spacious ground-floor shop in the West Village. I went in for a browse and picked up a quirky New England travel guide. The a/c was on the fritz and the box fans were blasting, but I loved nosing around the stacks and dreaming of trips I’d love to take. 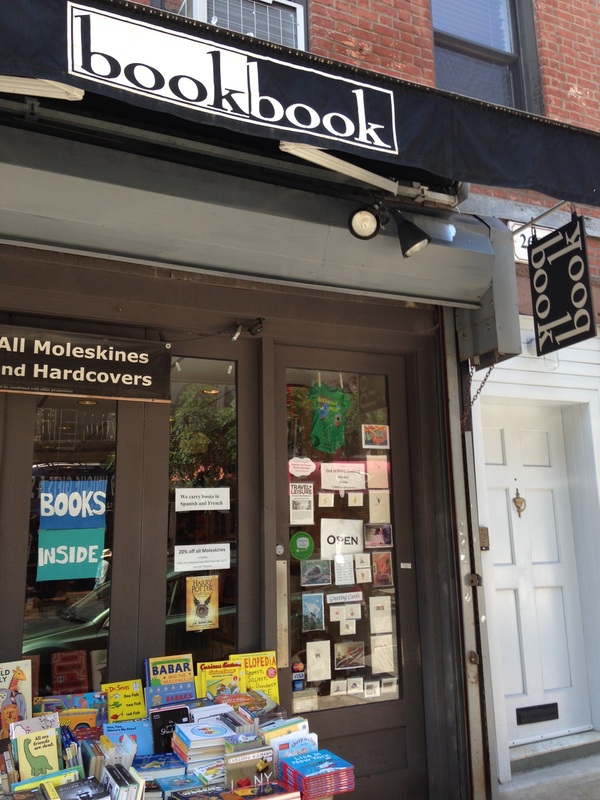 Up on Bleecker Street, also in the Village, bookbook provided another break from the heat and a fascinating place to browse. I picked up some good nonfiction at 50% off, including The Empathy Exams and H is for Hawk. I spent a good portion of my Sunday wandering the Upper West Side, and Book Culture on Columbus Ave. was a must. 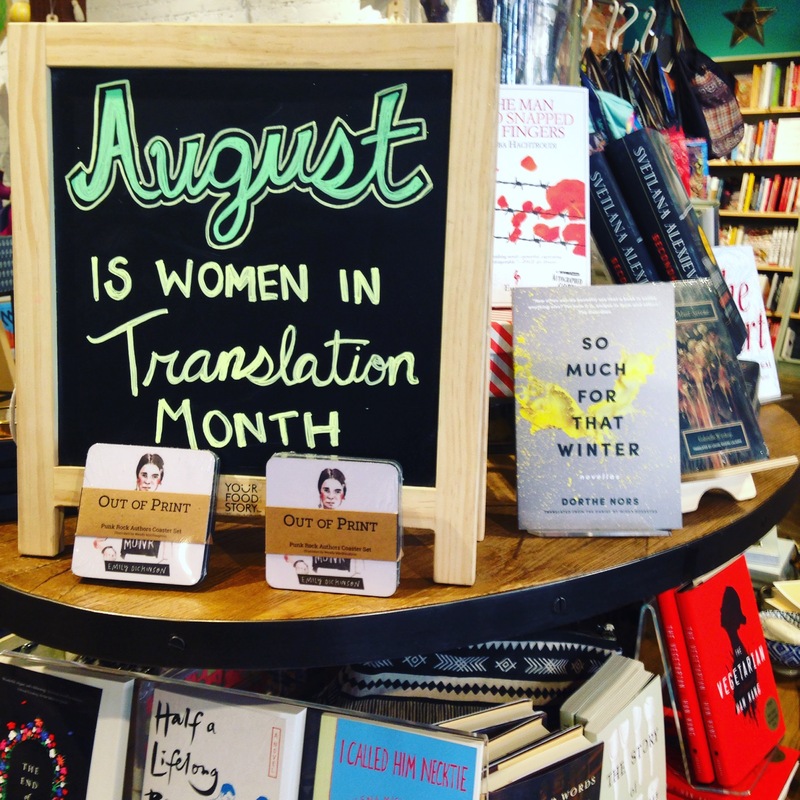 I love their huge ground floor full of gorgeous fiction, fascinating nonfiction and beautiful gifts, and their cozy children’s section in the basement is perfection. 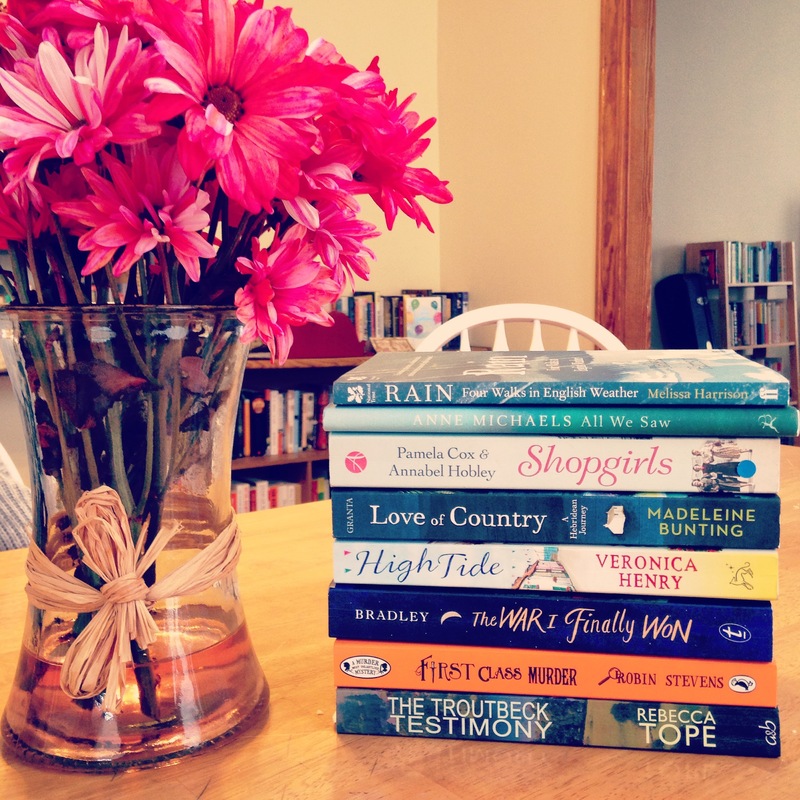 I came away with a whole stack: fiction, nonfiction and a couple of children’s books. And I loved this display toward the front of the store. 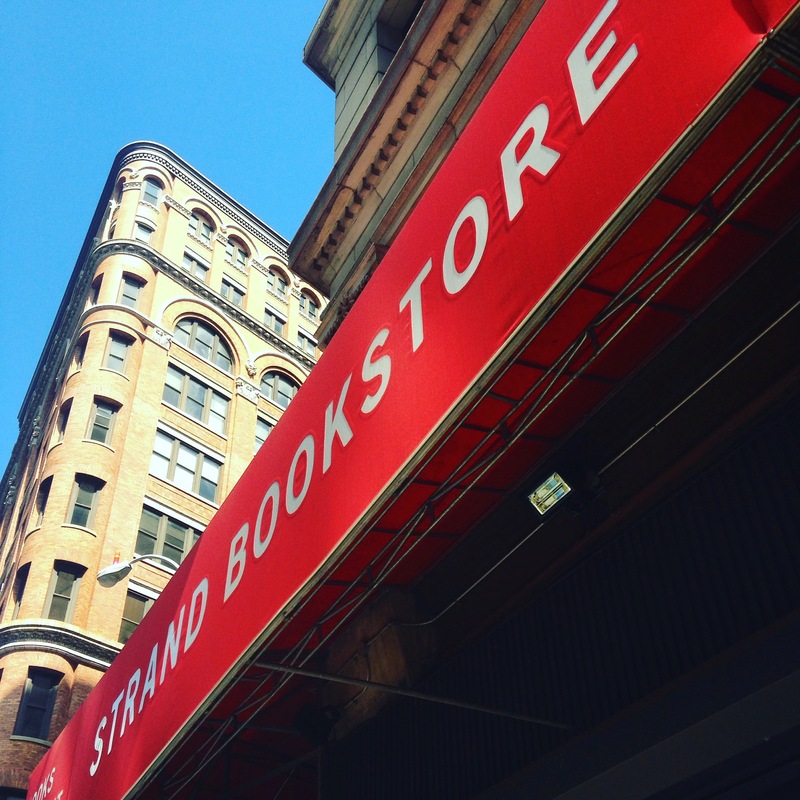 The Strand, with its 18 miles (!) of bookshelves, wasn’t far from my hotel, but I didn’t make it there until Sunday night – too busy wandering. I slipped in for a browse just before closing time and bought The Art of Slow Writing, which Addie had recommended. And then – because I could – I went back the next morning before my train left, and came away with a journal and a couple of gifts. I’m heading back to NYC later this fall, and a couple of these stores will definitely be on my list. 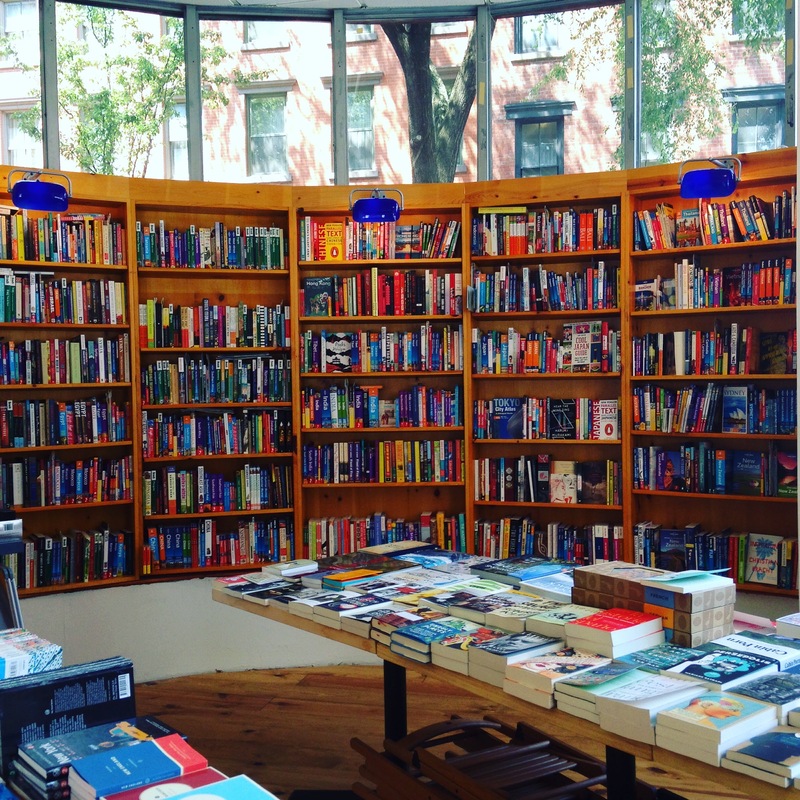 If you’ve got other favorite NYC bookstores, let me know – I’m always looking for more bookish places to enjoy. 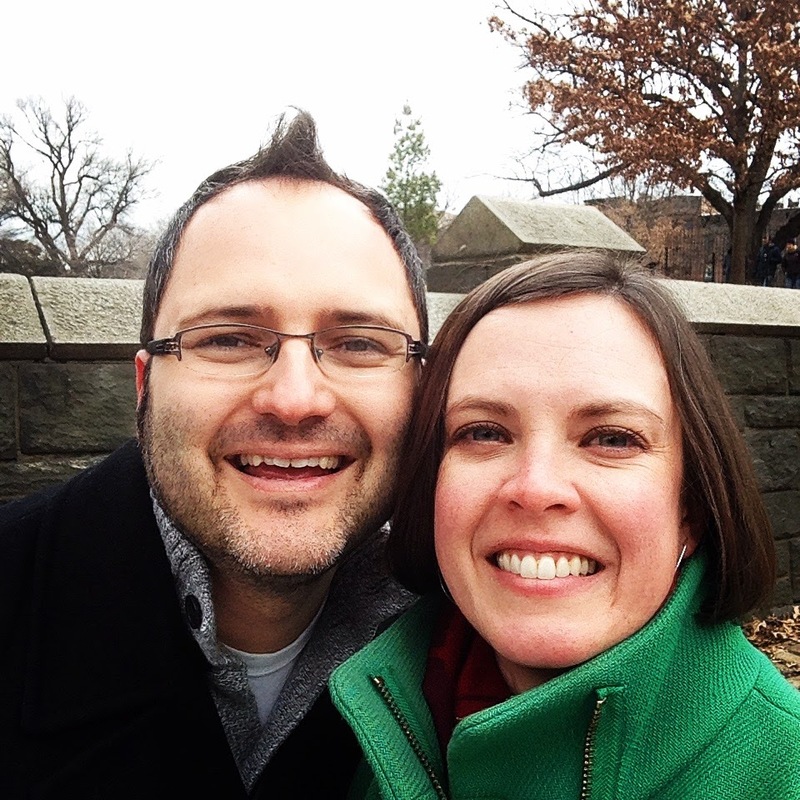 A few weeks ago, the hubs had a three-day work training that took place over a weekend. We had just moved, and our new apartment was a wilderness of boxes. Rather than spend the weekend alone, digging out, I did the logical thing: I hopped a train to New York City. I love New York at any time of year, and I’d been there by myself once before, on a dreamy solo trip last fall. 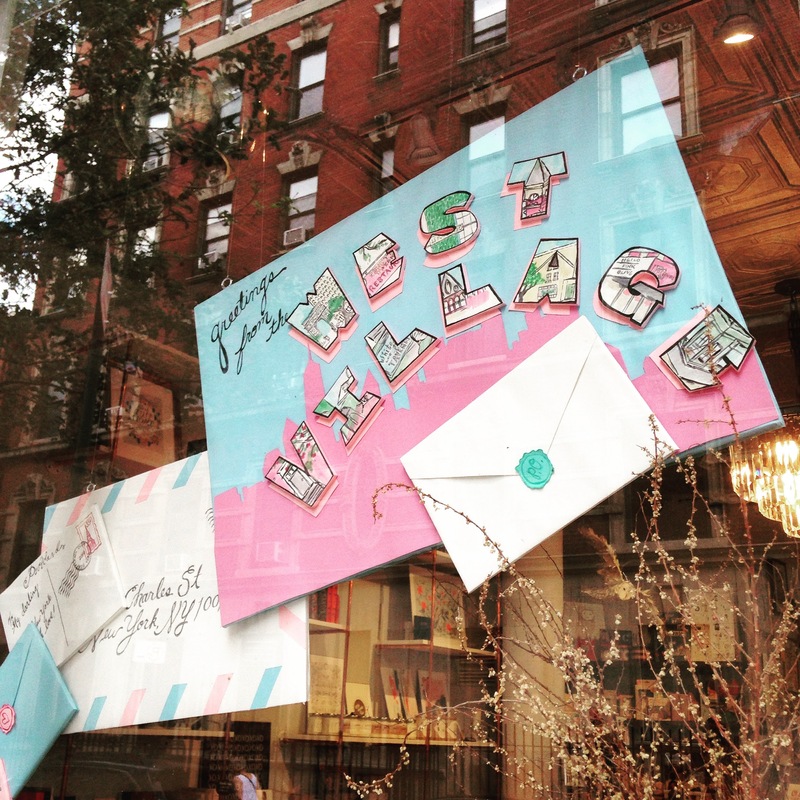 This time, I booked a room in the West Village, where I’d spent a little time but never stayed. And although the city (and I) sweltered in a heat wave all weekend, it was fantastic. 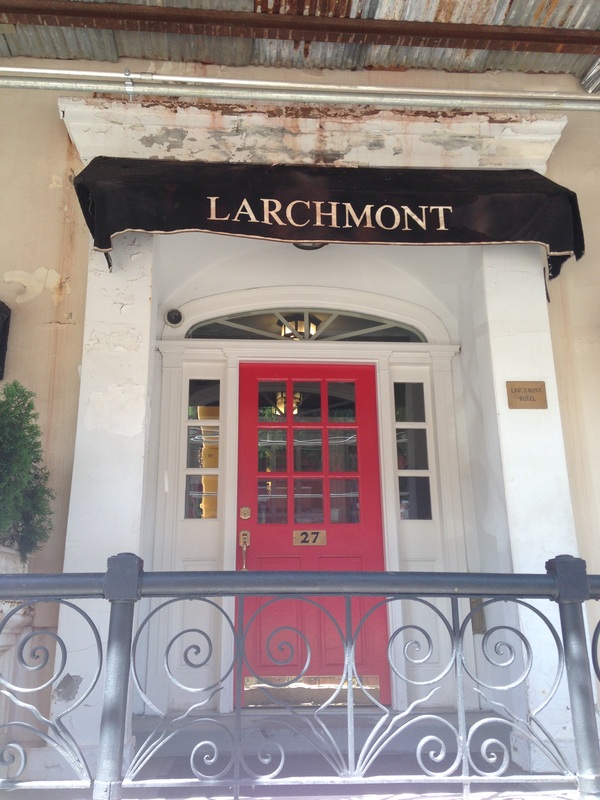 I stayed at the Larchmont Hotel on West 11th, which I heard about on Joanna’s blog (and later from Anne). The rooms are tiny, but clean and comfortable, with a certain spare charm. (Plus: air-conditioning!) And it’s super affordable. Although I’ve done a fair bit of traveling on my own, it somehow still feels like a radical act: leaving my regular life for a few days of pure, solitary pleasure. For three days, I ate and wandered and did exactly what I wanted. I bought a last-minute ticket to Matilda on Friday night. 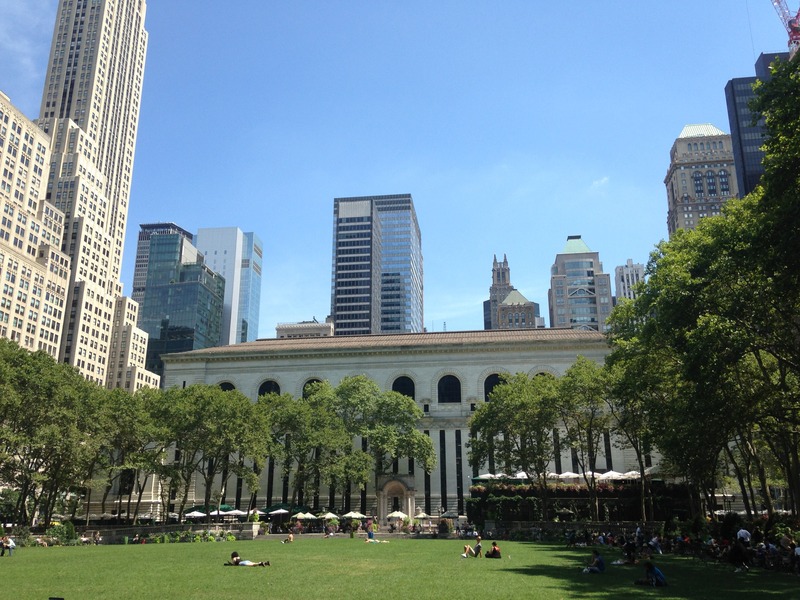 I ate my lunch in Bryant Park (above) nearly every day. I popped into the New York Public Library‘s main branch, also above, to see the exhibit on my favorite rapping Founding Father, Alexander Hamilton, and to say hello to Pooh and his friends. “New York meant much more than New York,” Julia Cameron writes in The Sound of Paper. “It meant sophistication, taste, freedom and accomplishment.” New York means all those things to me, and it also means a chance to explore neighborhoods and streets I find endlessly fascinating. I love the way New York is always surprising, teeming with life and change, thrumming with ambition and hustle. And I love the pockets of quiet and peace, the carefully tended flower boxes, the occasional empty street. New York is all possibility, and I love stepping into its current for a few days, becoming a part of the bustle and verve. More NYC photos and stories to come. I’m not much for selfies, but every once in a while I snap one just for fun. 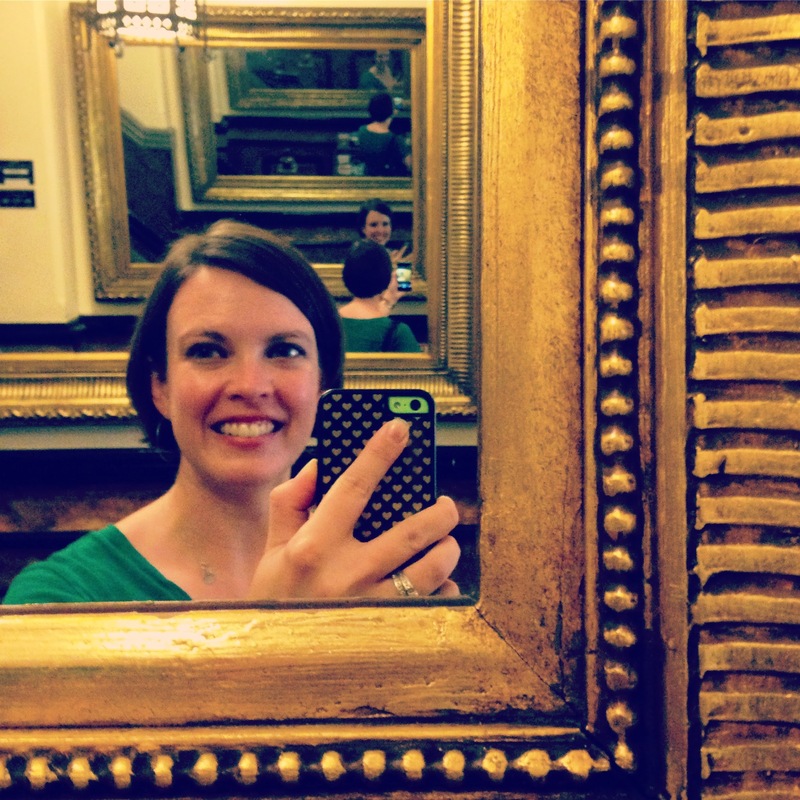 This is from my recent trip to NYC – I loved the effect of these mirrors in the hotel lobby.